Housing a standard 2.5-inch hard drive, the casing of the Iomega eGo has been designed to look like a rather stylish hip flask. Available in silver or red, the drive holds 250GB of data, which is roughly the equivalent of 62,500 MP3s, or 19 hours of DV video. With a 5400rpm rotational speed, the Iomega eGo is as quick a drive as you'll currently find in a mobile form factor. We carried out a 1GB transfer test and it wrote to the disk in 83 seconds. There are a variety of versions on offer, with either USB or Firewire connections, making the drive compatible with Windows and Mac OS laptops. Just plug it in and the device will be recognised. Sadly, there's no software installed, but you do get a licence to download Secure EMC Retrospect for file backup. 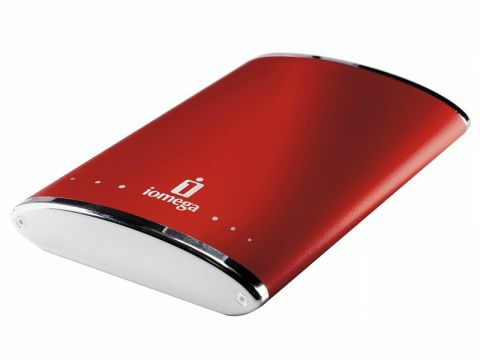 As high-capacity drives go, the Iomega eGo is stylish and fast, but is let down by the lack of installed software.